The changes that learners undergo in the process of language acquisition often involve the emergence of autonomous identities as users of language that may stem as much from personal maturation as from learning achievement. The impact of such change is profound, and may shift the instructor’s role beyond facilitation and fostering of language towards aiding in the cultivation of whole persons. 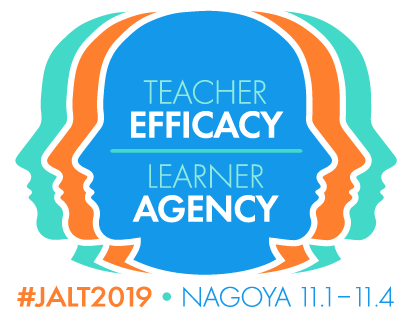 This year’s Learner Development forum theme at JALT 2016 focuses on such change and growth, and seeks presentations and dialog on learner language development as an aspect of maturation. Presentations highlighting learners’ own voices in such maturation are especially encouraged. We have a lively and active forum for JALT 2016 in Nagoya! Here is a summary of the individual presentations. Mayumi Abe will share her findings on the implementation of ePortfolios to foster self-directed language learning. She will point out how technological developments in ePortfolios need to be strengthened with pedagogical considerations, and will discuss effective ways to integrate ePortfolios by drawing on existing studies, investigating a case in which university students created and developed their ePortfolios by way of in-class scaffolding and analysis on how it helped the students mature as self-directed learners. Lee Arnold’s presentation about the experience of a Japanese homestay learner in Australia and the learner’s diary entries emphasizes the learning, growth, and changes the learner underwent in a one-month sojourn. He finds that even a short sojourn produced affirmative changes in consciousness in the learner and validates the integrity of diary studies as a still-viable means of tracking growth and development in language acquisition, along with a maturing of the whole person. Andy Barfield will report on the experiences of three second-year university students visiting different organisations and individuals in a developing country for two weeks in the summer and interviewing, in English and Japanese, people working on social justice issues. He explores the students’ development, particularly in terms of the changes in how they see their own lives and others’, and different conditions and factors that constrain or support individual and social development. Hideo Kojima shares his work in aiding EFL students in their cultivation as whole persons, as he explores the need for teachers to have new perspectives on EFL education where a variety of competencies need to be fostered, taking into account 21st century skills or key competencies in OECD countries. He will introduce some EFL teacher-learners’ comments on aiding the cultivation of learners as whole persons, with the goal of learner empowerment over a range of competencies to face the complex challenges of our time. Fumiko Kurosawa will present on the efficacy of digital storytelling in developing a learner-centric environment. She discusses her experiences as a conversation school owner and teacher and how the majority of her students approach their learning from different directions as business people with wide ranges of proficiency in IT skills that are influenced by their corporate specialties and respective strengths and interests. She demonstrates how she tapped into their skills and specialities by way of digital storytelling to foster greater learner proactivity both in-and-outside the classroom. 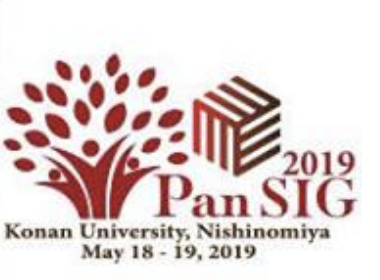 Yoshio Nakai will discuss in Japanese his study of the evolution of a Korean student from a learner to a user of L2 Japanese by way of fostering of learner autonomy. He will show, based on a series of interviews with the student, that the transformation the learner underwent was a process of realization evincing personal maturation as an aspect of learner autonomy. Hugh Nicoll’s presentation explores the themes of transformation and maturation in the work of three members of an American Studies Seminar through an analysis of video recordings and written learner reflections. In his study, he will focus on issues of identity and agency in two related contexts: First, as themes in the works of Maya Angelou, Ralph Ellison, John Okada, and Hisaye Yamamoto; and, second, in terms of how learners’ understandings of critical pedagogy as a framework for literary studies helped them build bridges between their seminar work and their identities as citizens and life-long learners. Agnes Patko will introduce the merits of correspondence between Japanese and Hungarian learners of English in her presentation. She asked participants in her study to hand-write their letters instead of using computers that automatically correct or highlight mistakes, in both English and Japanese. Through a post-project survey, her students reported benefits such as the opportunity to use English with their foreign peers; the experience of feeling like native speakers, which increased their confidence; an improvement in their understanding of Japanese culture and ability to discuss it, and greater interest in other cultures through interaction with their Hungarian counterparts. She concludes that hand-writing letters made learners more willing to revise their drafts and helped them improve their spelling and organizational skills. Jim Ronald describes a project involving third-year students in an English department becoming teachers with each other. He asked students to become teachers of basic aspects of L2 English pragmatics, allowing them to choose their topics and working out how best to teach the activities from the topics, collecting student feedback and reflecting on their teaching. Through this experience, they stopped being students and instead became autonomous, reflective teachers. He discusses the nature of this transformation in how it takes place, how it may be improved, and the role of the teacher throughout. Hiromi Tsuda will present on the evolution of learners through collaborative learning (CL). She introduced CL into a required intermediate English class with human life and environmental sciences majors to lessen potential anxiety with such content. After reading passages in the textbook, students carried out presentations about topics of the units, engaging each other in Q&A sessions. In their reflections, they wrote that they enjoyed these sessions, and deepened and developed understanding and interest in scientific topics, demonstrating that CL played a crucial role in enhancing greater student confidence and self-efficacy.